Hasan Minhaj. 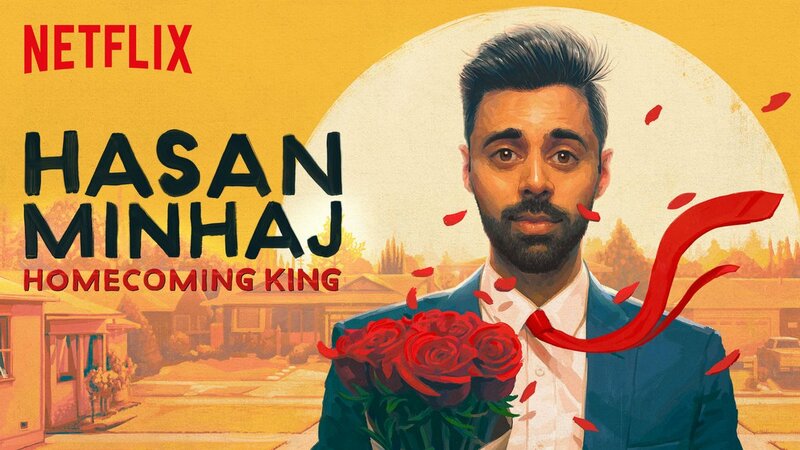 You may not be familiar with his name, but after watching his new Netflix standup special Homecoming King I am certain that we will be hearing him for many years. Hasan is a correspondent on Comedy Centrals The Daily Show joining when it was hosted by Jon Stewart and hosted the 2017 White House Correspondents Dinner. I don’t watch The Daily Show, but after hearing him recently with Dan LeBatard on ESPN Radio, I watched the dinner and found him to be decently funny. Times passed, I don’t think about that day….I mean I did write a show about it. With the launch of his Netflix Special this week Hasan takes his comedy to the next level. His quirky delivery is enjoyable and his stories are all relatable. From interreligious marriages to immigrants and to seeing post-9/11 and racism from the other side of the coin, plus many other life moments. Our parents are like, ages 0-30, don’t talk to girls. Then at 35 they are like ‘why can’t you talk to girls’!? Personally, I found this special hilarious and a must watch on your next comedy night, giving it a 9 out of 10.